To officially change your name, simply fill in an application form. All our documents are at great prices and we provide a service second to none. Please see our Prices and Service page. Our Deed Poll documents are printed on high quality 100 gsm textured paper or parchment paper and bear our official company authentication watermark and seal embossed on them. The Deed Poll documents are sent out using 1st class post, and are normally processed and posted out within 24 hours of ordering, of any working day. It normally takes 2-3 working days from placing the order to receiving it. It really is that quick and simple! Our deed polls are fully automated and generated using the information supplied by you on the application form. We manually check for quality and print out the postal deed poll documents onto the finest quality paper. We provide both an adult Deed Poll Service and a Child Deed Poll Service. The adult Deed Poll Service can be used by adults wanting to change their name and/or title. For anyone under the age of 16 you need a Child Deed Poll document which we supply through our Child Deed Poll Service. All our Deed Poll documents and the legal copies bear our official company authentication watermark and have our company seal embossed on them. We only use high quality 100 gsm textured paper or parchment paper, your guarantee of quality and they are posted by first class mail the next working day of you placing the order. When you place your order, you will be sent a confirmation email. As part of our eco-friendly policies we send our free Deed Poll Information Pack via email attachments in the order confirmation email. You can print out the relevant forms, and use these if needed. In addition if you order the Child Deed Poll documents, you will also be sent the courtesy Parental Responsibility Consent forms with the order confirmation email. The Standard Deed Poll Application Service is for individuals who want to change their name. If this is the first time you are changing your name, or you simply want to take on a new name, that you have not had before, then this service is for you. It is also our most popular service. The Replacement Deed Poll Service is for individuals who need to show evidence of their name change or who have lost their original Deed Poll documents. You can use this service even if you used a solicitor to change your name using a Statutory Declaration through the solicitor. The Archive Deed Poll Service is for clients who purchased their original Deed Poll documents from us and who have since lost them and now need replacement documents or additional copies. Please remember, if you did not order your Deed Poll with us we will have no record of your name change, so you will not be able to use this service. Sign the Deed Poll on the dotted line, with your new signature where your new name is printed. Sign the Deed Poll on the dotted line, with your old signature where your old name is printed. Get your witness to sign on the dotted line entitled Witness. Print the witness’ name, address and occupation details. (ensure the witness is over 18 and not related to you, see witness for further details). Please see our section on "Executing a Deed Poll". You have the satisfaction of knowing that our Deed Poll Documents come with a 30 day no quibble money back guarantee. 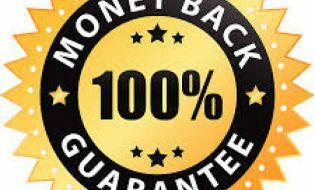 Our 100% money back guarantee will give you peace of mind and assurance, that your Deed Poll is a fully legal document and will be accepted. We use PayPal so you know your money as our payment provider - A Name You Can Trust.